The point of a summer blockbuster is to make as much money as humanly possible. Unfortunately, that doesn’t always result in the most artistically sound projects. These summer blockbusters prove just how bad things can get when studios seek the almighty dollar. 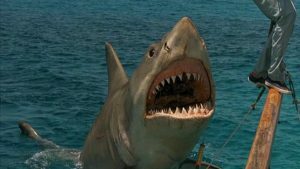 The original “Jaws” invented the summer blockbuster. We’re surprised the third and final sequel didn’t kill it. It definitely killed the franchise, though, thanks to a stale premise and some amazingly bad shark effects. 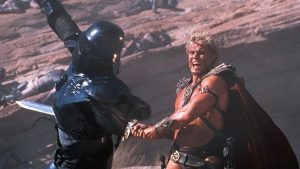 Like “Masters of the Universe,” “Super Mario Bros.” has so little in common with the source material that it doesn’t even deserve its name. It proved something that studios can’t seem to figure out even 25 years later — video games don’t make for good movies. If you’re wondering why Kevin Costner suddenly stopped being one of the biggest movie stars in the world, this movie is to blame. 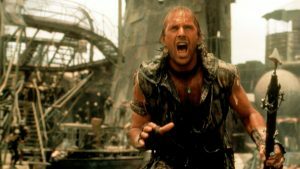 An expensive flop of historic proportions, “Waterworld” proves that all the money in Hollywood is pointless if you don’t have a good story as a backbone. Few franchises crashed and burned as hard as Batman did in the ’90s. 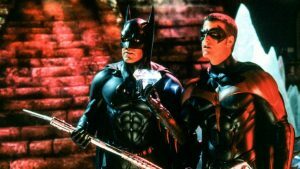 How we went from the likes of “Batman” and “Batman Returns” to “Batman & Robin” we’ll never understand. This is what happens when selling Happy Meal toys is more important than making an actual movie.